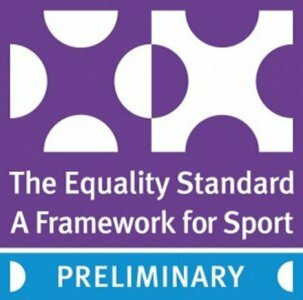 Leicester-Shire & Rutland Sport (LRS) believes that equality of opportunity is at the heart of all sport and physical activity provision within Leicestershire, Leicester and Rutland. LRS programmes should be accessible to all sections of the community. All those involved planning and delivering the programmes should be committed to treating everyone with respect irrespective of ability, gender, ethnicity, disability, cultural background, sexual orientation, religion, political affiliation, social class or age. LRS will strive to identify and eliminate practices that prevent access to sport and physical activity, or make anyone feel uncomfortable whilst participating. Discrimination or any behaviour against any individual will lead to exclusion from the programme. It is the policy of LRS to ensure that everyone has access to sporting and physical activity opportunities and it is recognised that this can require targeted, positive action. Therefore, it will be the aim of the Partnership to ensure that the necessary actions are taken to encourage all residents in Leicestershire, Leicester & Rutland to take part in sport and physical activity. As well as stimulating participation by under-represented groups, it is clearly understood that LRS must continue to encourage increased participation by those parts of society which are already well represented. It will encourage all persons to take part in sport and physical activity at the most appropriate level for them, and will ensure that no-one working for LRS takes any action which would discourage any individuals from achieving their maximum potential through sport and physical activity. Through individual work programmes and by working with partners, the setting of realistic targets within identified under-represented groups will be encouraged within each of the areas of LRS's programmes. Active monitoring and evaluation will be integral to programmes to determine successes and challenges with data being utilised to influence on-going and future developments. Identified priority areas of work will relate to current insight, national surveys and targets set by Sport England, but will also reflect local variations across Leicestershire, Leicester and Rutland.